Re-purposing published blog post content from my ‘Business Intangible Asset Blog’…to attract new-prospective clients and sustain relationships with existing clients is a professionally impressive, dignified, and ‘message relevant’ marketing strategy. 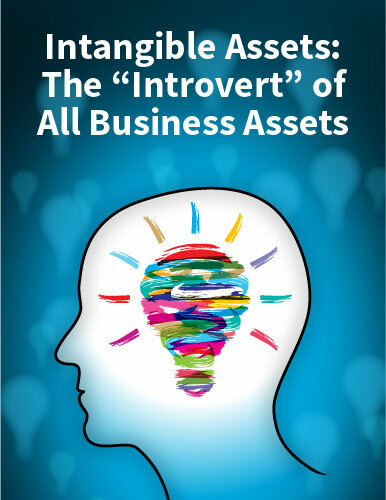 The ‘Business Intangible Asset Blog’ is an authoritative resource… consisting of 650+ published posts (since May 2006, regularly read in 137+ countries). I research, write, and publish blog posts to focus on…all things intangible. Each posts’ content can be readily extracted and re-purposed to deliver relevant and thought provoking messaging to business leadership in the rapidly expanding arena of intangible asset intensity and dependence! An important key to the effectiveness to the initiative proposed here lies in the selection of specific blog post content…that aligns with professional service firms’ expertise and (their prospective, existing) clients’ current challenges as well as horizonal interests and needs. deliver an authoritative and attractive (online-marketing) presence. attract new – prospective clients, and re-engage existing clients. bring clarity to the distinctive needs and challenges common to the rapidly growing number of businesses, in all sectors, some yet to be realized or exploited, but never-the-less are, genuinely ‘intangible asset intensive and dependent’. develop and bank essential – valuable relationship capital which elevates clients receptivity to conversion from prospective to retained clients. getting a firm’s message to (a.) the right audience, (b.) at the right time, and, (c.) in a learned context! Conventional business marketing initiatives and content…are frequently interpreted as generically redundant themes and narratives, interspersed with dramatized ‘click bait’ FUD factors variously emphasizing emotion laden scenarios of fear, uncertainty, and doubt which presumably act as differentiators and attract attention of the receptive. moderate vs. elevate a professional service firm’s reputation and brand. are expensive, of debatable voracity, minimally responsive, and translate as highly choreographed messaging. FUD factors, by design, are intended to…influence targets’ base emotions, insofar as assuming immediate action is essential, ala ‘time is running out’ to take action. Too, experience suggests that ‘marketing messaging’ anchored in FUD factors…may be, well received, by the operationally unfamiliar, but, far less so for business leadership already familiar with the materialization of risk to ‘all things intangible’. the far more important and effective marketing realities which professional service firms which I am familiar, prefer. is a professionally impressive, dignified, and welcome means for on-going communication. are learned preludes for converting readers from prospective clients to retainable and sustainable clients. is a relevant foundation – prelude to developing and executing professional service firm ‘inbound marketing’ initiatives. developing new – reinforcing existing clients. distinguishing a firm’s (added) practice area expertise. and, perhaps most importantly, contribute to recognizing the lucrative – competitive relevance of coordinating practice area expertise to the delivery intangible asset services. addressing current, near term, and/or strategic needs and risks which most will (inevitably) experience. being (competitively, lucratively) worthy of applying in lieu of independently devoting time and resources to conducting external, time consuming (third party) ‘snoop and sniff ‘ (marketing) activities. constituting a legitimate, learned, and ethical means to address current – prospective clients’ nuanced – sector specific business interests and financial-competitive ‘pain points’. especially, when acting on ‘the content’ is a prelude to setting professional service firms apart from their competitors. is respectfully nurturing insofar as integrating language that appeals to – influences readers – clients decisions based upon relationship capital. converges clarity and rationale for business leadership to mitigate conventional misunderstandings, misinterpretations, and/or any reluctance – hesitancy to engage their or clients intangible assets. Michael D. Moberly St. Louis April 11, 2019 m.moberly@kpstrat.com the ‘Business Intangible Asset Blog’ since May 2006, 650+ published posts, read in 137 countries, ‘where one’s attention span, businesses intangible assets, and solutions converge’! Reader comments, as always are invited and respectfully welcome! Professional service - law firms' intangible asset deliverables is a lucrative game change strategy! Categories: Intangibles as strategic assets Tags: Marketing intangible assets.